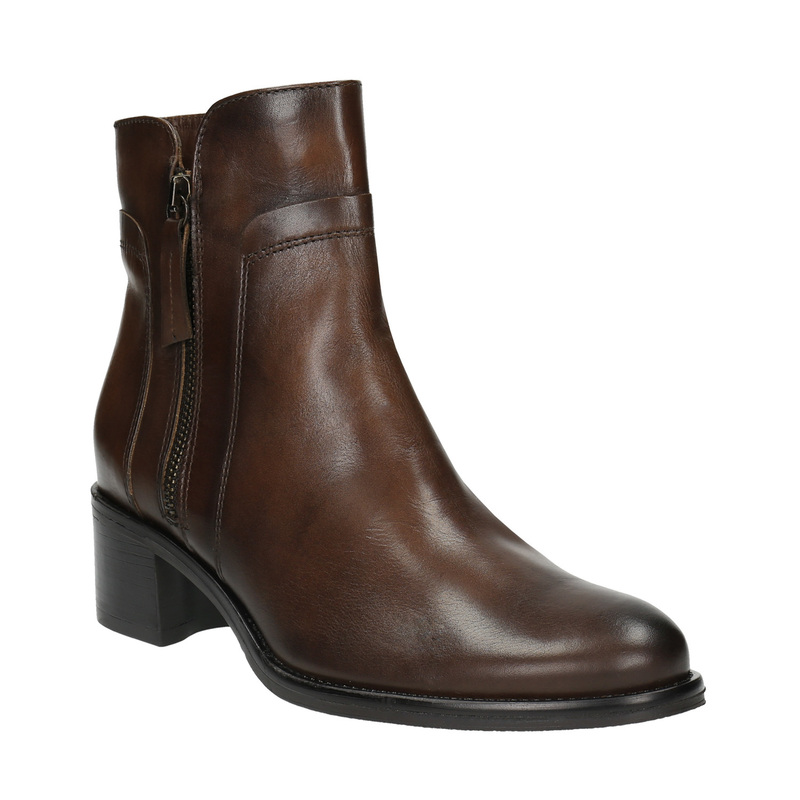 These women's boots in an above the ankle cut have an upper from smooth brown leather. 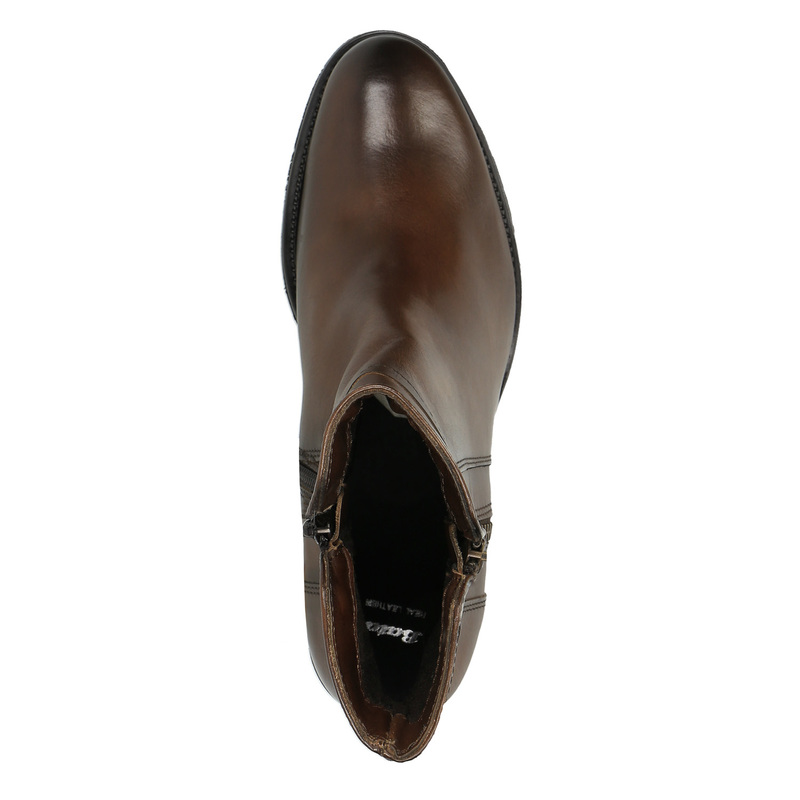 Inside there is a leather insole and slight padding, so they are also suitable for cold days. 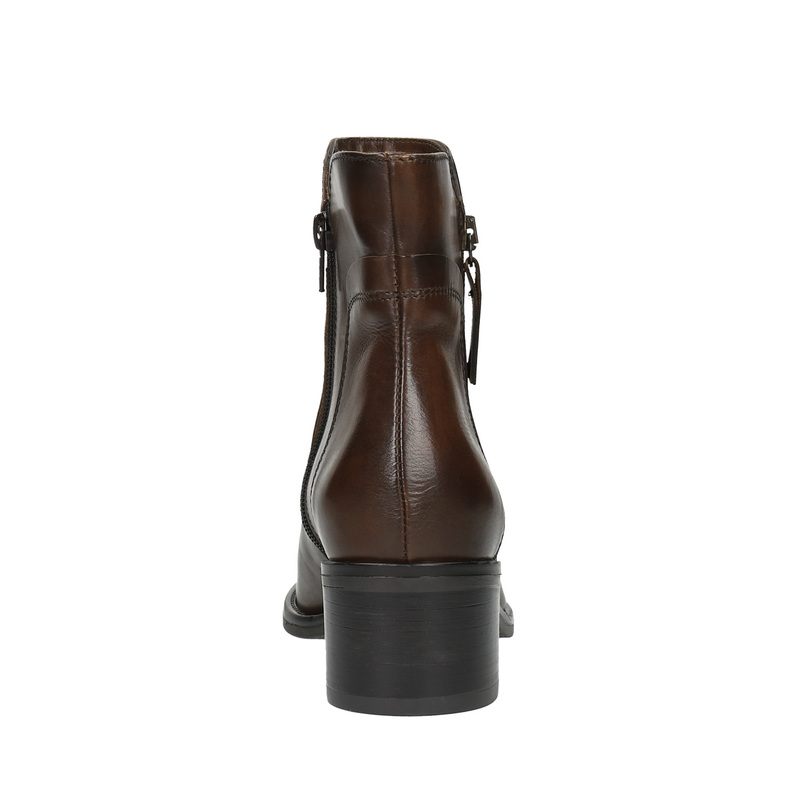 Zippers on the sides make putting the shoes on easier, while also livening up the otherwise discrete model. 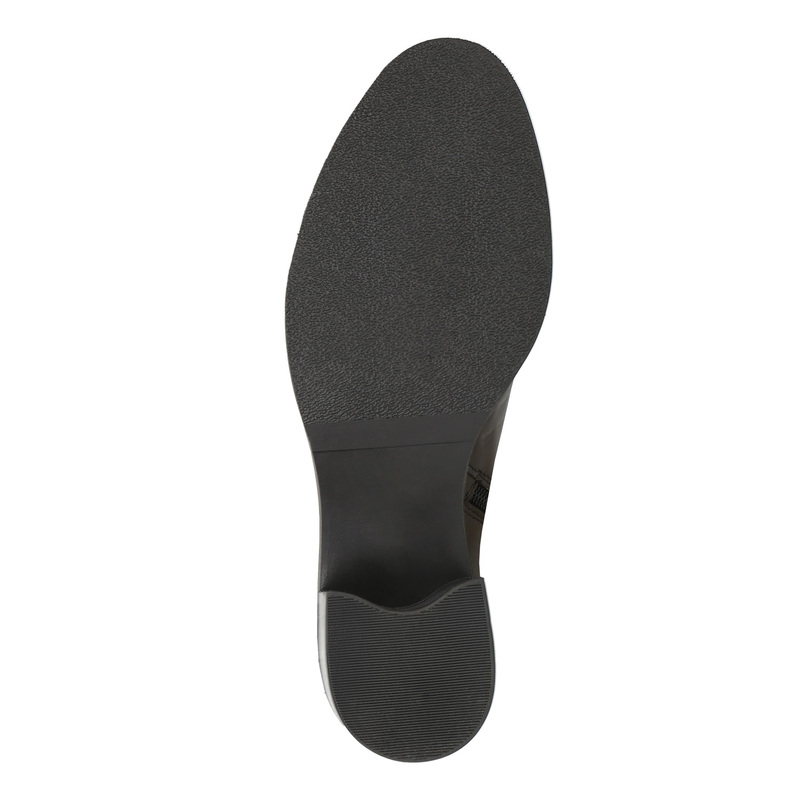 The low heel respects the ergonomics of the foot and is comfortable for all-day wear.